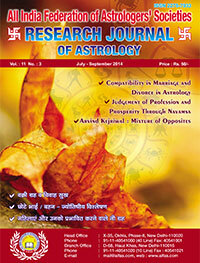 There are some strange maxims (Slokas) related with transit of Jupiter in Cancer rashi. As per those Sanskrit stanza’s the transit of Jupiter gives bad rain, famine and war between kings. This appears quite enigmatic as Cancer is the sign of exaltation for planet Jupiter so how come this benefic planet, which is also regarded as ‘Deva-Guru’, can give bad results in this rashi? Moreover Cancer is the seventh house from ‘Makar’ i.e. Capricorn the sign allotted to India by great Varahamira. Interestingly Cancer is a watery rashi and Jupiter is also considered to be a watery planet as per the classics of astro-meteorology. So by this logic Jupiter transiting from Cancer rashi should give good rainfall. But as per the Sanskrit stanza’s given in the classics like ‘Bhavishya Phala Bhaskara’, ‘Varsha Prabodh’ and ‘Mayur Chitram’ the planet Jupiter transitting from Cancer rashi gives poor rainfall, famine and war among the kings. See these given below ‘Sloka’s’ from these book with their English translation. बृहस्पतिर्यदा कर्के स्वल्पं मेघ प्रवर्षति राजभिविग्रहषचैव दुभिक्षं तत्र जायते Translation: When Jupiter transit through Cancer sign there is poor rain, fight between kings and famine. (Bhavishaya Phala Bhaskara, Page number 64, Publisher Shri Venkateshwara Press, Mumbai ) कर्कराषिगतोजीवोयदावक्रीभवेतदा । दुर्भिक्षंजायतेघोरंराजायुद्धतत्पराः ।। Translation: When Jupiter goes retrograde Sachin Malhotra in the Cancer sign it brings famine and the kings will fight among themselves. (Varsha Prabodh, Page number 126, Publisher Shri Venkateshwara Press Mumbai) Apart from these, the results of the transit of Jupiter from Punarvausu, Pushya and Ashlesha Nakshatra are also given similar to that of Jupiter’s results in Cancer rashi. See the below given Sanskrit stanza’s : आदित्यपुष्याष्लेषासु गुरूभोगे प्रसंगिनी अनाव्रष्टिभयं घोर दुर्भिक्षं र्सवमण्डले Translation: When Jupiter is in Punarvasu, Pushya and Ashlesha then there is poor rain, fear and famine everywhere. (Bhavishaya Phala Bhasakara, Page number 65, Publisher Shri Venketeshwara Press Mumbai) A similar Sanskrit stanza about the results of the transit of Jupiter from the Punarvasu, Pushya and Ashlesha Nakshatras is also given in the book ‘Varsha Prabodha’ (at page number 130, Publisher Shri Venketeshwara Press Mumbai). 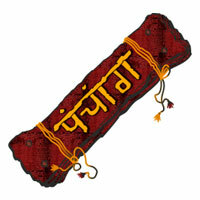 The Punarvasu Nakshatra extends from 20 degrees 00 minutes of Gemini (Mithun) to 03 degrees 20 minutes of Cancer (Karka). Pushya Nakshatra extends from 03 degrees 20 minutes to 16 degrees 20 minutes of Cancer sign. And Ashlesha Nakshatra extends from 16 degrees 20 minutes to 30 degrees of Cancer sign. Now see the Table number 1 where the periods of Jupiter’s transit through Cancer sign since year 1901 is given. Also check the Table number 2 for the data of rain fall %, departure from the average rainfall for the months of June to September. In this table the data of rainfall departure (%) from the average rainfall is given for the concerned years when Jupiter was in Cancer rashi. You can quickly notice that in those months when Jupiter was in Cancer the rainfall was mostly less than normal. This was just the small study about the applicability of a classical principle of astro meteorology among the hundreds of those available in the texts. As per experience the following four step methodology can be followed for making a prediction about the South-west monsoon rainfall. 1. 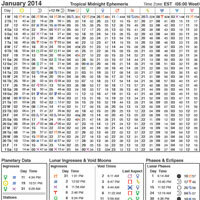 Analysis of the ‘Chaitra Shukla Pratipada’ or Hindu New Moon chart. 2. Study of atmospheric conditions on the day of ‘Rohini Yoga’, ‘Swati Yoga’ and ‘Ashadhi Yoga’ in the month of ‘Ashaadh’ i.e. June-July. 3. Analysis of the ‘Ardra Pravesh’ chart. 4. Analysis of the four Solar Ingress (Samkranti Charts) and 8 Lunar charts (Paksha Charts) for the months concerning June to September See the given below ‘Ardra Pravesh’ chart to have a quick look at the point of obstruction which can give less than average rainfall this year. The Ardra Pravesh chart is cast for the time when Sun enters into the Ardra Nakshatra which this year is going to be on 22-June-2014 at 10:40 hrs, Delhi. 1. 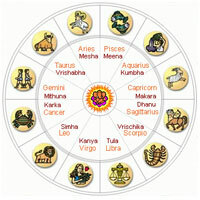 Leo (Simha) lagna is rising in the Rashi chart as well as in Navamsha. 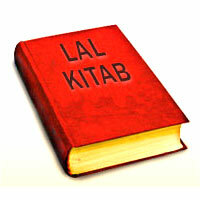 Leo is a fiery and dry rashi. 2. Moon is also in the fiery rashi Aries ‘ under the malefic influence. 3. State of West Bengal will get the timely pre-monsoon and monsoon rain as the ‘Mithun’ i.e. Gemini sign which signifies this state will be having the influence of Jupiter and Mercury during the month of June. In July also, there will be good rain in West Bengal as Venus and Mercury will be transitting from Gemini and Jupiter will be ahead of them. (Note: Late Shri B.V. Raman used to take Gemini for the state of West Bengal in India) 4. But there will be poor start of South west monsoon in the state of Maharashtra as Mars is in Virgo which is the rashi signifying this state. 5. After 14 July there will be good rainfall in the state of Andhra Pradesh, which is signified by Pisces rashi as per late Shri B.V. Raman, as Jupiter will be aspecting it from Pisces. Venus and Mercury will be in Gemini which is in Kendra from it. Mars entering into the Libra rashi on the 15th of July will bring destruction due to excessive rain at some coastal area of these states. 6. In North East and North Indian states there will be less than average rain in the second half of July and also August when Mars and Saturn would be in conjunction in Libra rashi. 7. Rahu will leave the Libra rashi on 12 July and enter into Virgo which will slow down the pace of South-west monsoon in Northern state but there it will bring good rain in Maharashtra and Andhra Pradesh. 8. 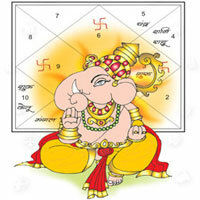 Delhi is signified by Scorpio rashi which will get the aspect of Jupiter transitting in Cancer. In the month of July Venus transitting from Taurus will also aspect the Scorpio rashi. So Delhi will get average rainfall during this monsoon season. 9. 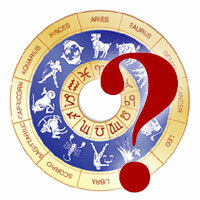 State of Uttar Pradesh and Uttarakhand are both signified by Sagittarius (Dhanu) rashi. The sign Sagittarius is under the malefic aspects of Saturn and Mars. The lord of Sagittarius is Jupiter which will be transitting in the 8th house from its sign. So, U.P. and Uttarakhand will get less than average rain but at the same time at some places there will be destructive rainfall particularly in the second half of July. During the whole season of South west monsoon this year, Saturn will be transitting through Vishakha Nakshatra in Libra rashi. This is considered to be just below average for the rainfall as per the classics of astro-meteorology. विषाखायां यदा सौरिः षालिगौधूमानाषनः। पूर्वे वर्षति पर्जन्यो पष्चामैव धनागमः।। Translation: Saturn in Vishakha Nakshatra gives the loss of the farming of rice and wheat grain. The clouds will give good rain first but later they won’t give any rain. So we can summarise that in the month of June and July there will be just average rain. In the second half of the South-west monsoon season there will be less than average rain in India. Saturn in Vishakha Nakshatra is also considered bad for India. Interested students can cast the foundation chart of India (15-August-1947, at 00:00:01 hrs, Delhi) and check the Vimshottari dasha in operation. It is Sun-Ketu (05 May-2014 to 09-September-2014) and then dasha Chhidra will start, Sun-Venus (September-2014 to September-2014). 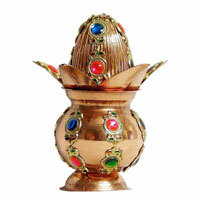 Ketu is in the seventh house of territorial war and Venus is the sixth lord in the foundation chart of India . There is also a possibility of the death of some important leader in the month of August or in the first fortnight of September 2014. The transit of Mars from the Libra and Scorpio rashi, in the months of August and September broadly, will be a difficult period for India in terms of handling internal security and international border. Also notice that as per the classical references given in the beginning of this article the transit of Jupiter is considered bad for the kings which,in a democratic country now, in modern days can be replaced by politicians for liberal interpretation of those ancient maxims.